By Karrar Haider in Mobile. Updated on January 30, 2018 . Shooting time lapse videos is the best way to capture the mesmerizing beauty of slow moving things around us that our eyes (or patience) can’t keep up with. Thanks to low frame rate and high video speed, you can make epic videos of blooming flowers, sunset, moving clouds and many other beautiful scenes. Interestingly, you don’t need a high-end camera to record time lapse videos, your smartphone and a good time lapse app is enough. 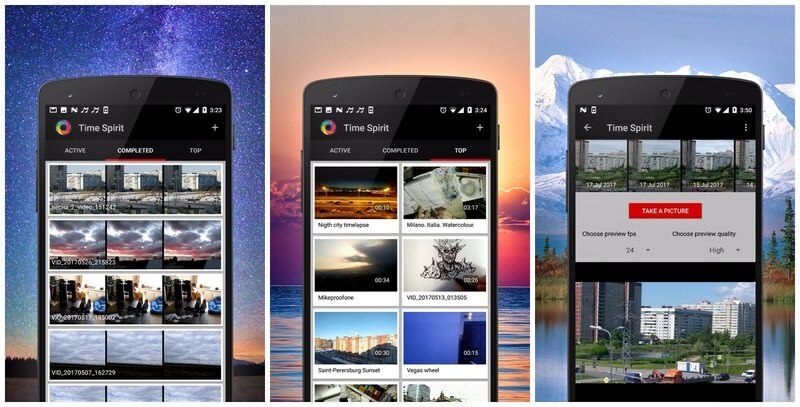 Below I have listed 5 of the best time lapse apps for Android and iOS. This is a rather new time lapse app on the Google Play Store, but it does an amazing job of recording time lapse videos for free. It has two modes, Photo Lapse, and Video Lapse. In Photo Lapse, the app basically takes a photo after a defined interval and stitches them together to create a video. This is usually better for slowly changing scenes, such as blooming flower or sunset. For Photo Lapse, there is no limit on maximum video duration. In Video Lapse (a.k.a hyperlapse), the app continuously records video at slower frame rate while stabilizing it. The camera needs to be continuously moving to create a tracking time lapse shot. It’s best for roaming around different places and showing your findings in a high-speed time lapse video. There is a max 24-hour limit on Video Lapse, which is quite long actually. Furthermore, you can add audio to your time lapse videos, use flash (if needed), and watch best time lapse videos created by other users. Overall Time Lapse Camera offers a great combination of control and powerful features for free. Although, the developer did mention that “At the moment it’s completely free”, so I guess it may get a price tag or ads later. Both photo and video time lapse supported. Unlimited time lapse video recording. Add audio to your videos. 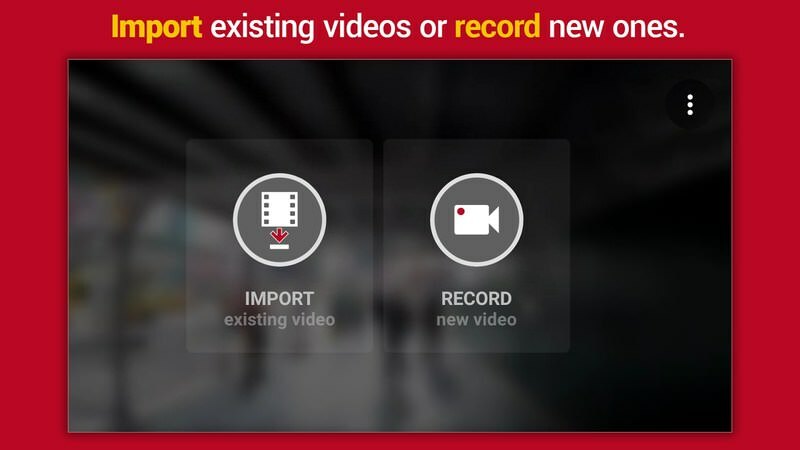 Won’t allow you to import your own videos. Requires basic knowledge of frame rate management. Probably the best hyperlapse video recording app for iOS. Hyperlapse from Instagram earns bragging rights for its amazing stabilization capability. 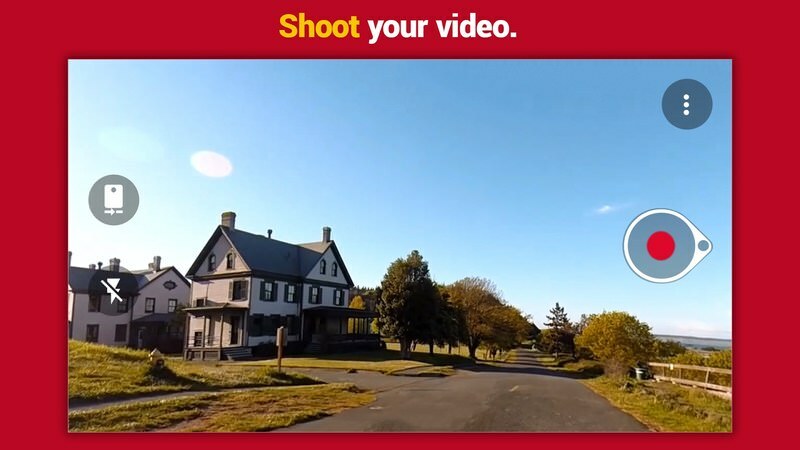 The app is capable of recording smooth time lapse videos even if you are biking or running. You can record day long time lapse videos, whether it’s sunset or your walk through the busy city. The app can speed up your time lapse videos up to 12x times and gives you full control over frame rate. Depending on the subject you can increase or decrease frame rate to get the perfect result without using any extra storage space. And no matter the frame rate speed, you’ll still get a stable and smooth time lapse video. Can stabilize even the bumpiest of videos. Offers control over frame rate. Up to 12x speed support. Can’t add effects or filters. 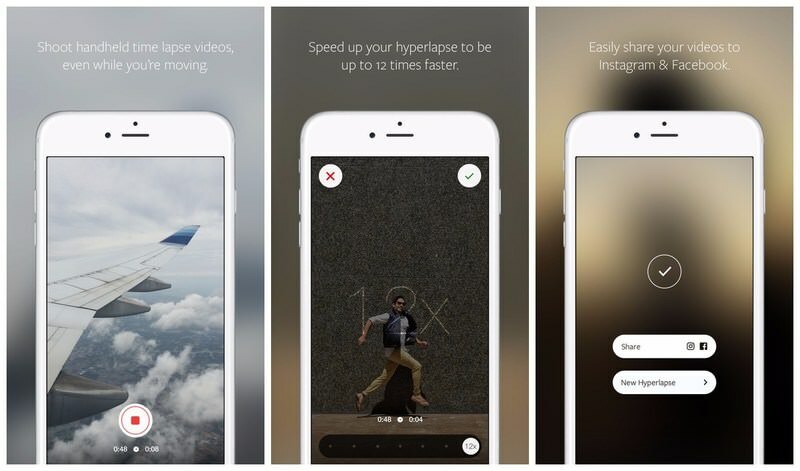 Microsoft offers a powerful hyperlapse app that is simple and feature-rich. 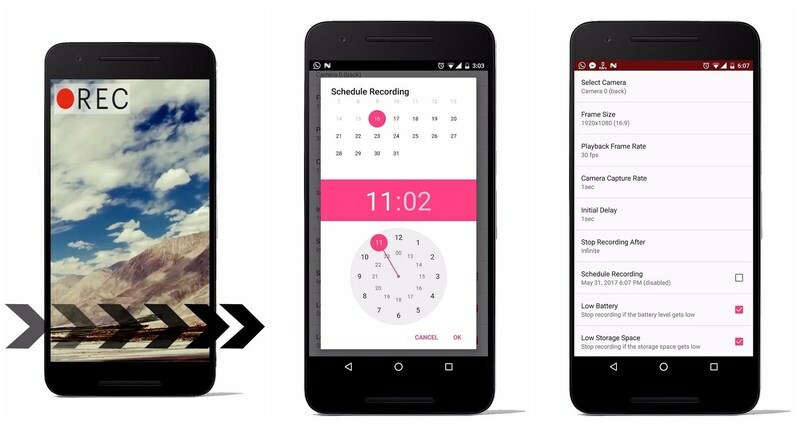 You can both import existing videos from your phone storage or Google Photos, or record a new time lapse video right from the app. Amazingly, it allows you to speed up videos up to 32x times the original speed, and you can save the video in 720p or 1080p resolution. The app itself is really easy to use and does most of the work automatically. You just need to worry about the video speed, and may be some output options. Furthermore, it also stabilizes videos with great precision. You can even use it just as a video stabilizer by keeping video speed at 1x (i.e. original speed). As it is a hyperlapse app, it is only good for short videos, which is why there is a 20 min limitation on maximum video length. Additionally, as frame rates are managed by the app, the size of the video will be considerably large as well. It should also be noted that the app adds a watermark at the end of each video without a built-in way to remove it. Up to 32x times video speed. Export to SD card support. Save video in 720p or 1080p. Both importing and recording supported. Doesn’t give control over frame rate. Can’t add effects to videos. There is a limit to video duration. Adds watermark at the end of the videos. Another new time lapse app in the market, Time Lapse Camera & Video is a highly customizable app with reliable features. It supports both image and video time lapse without any limitation on maximum video length. Best of all, it supports scheduling of recording, making it perfect for time sensitive scenarios, such as night lights. The app gives you full control over both the recording frame rate and the playback frame rate. Even if the recording frame rate is too fast for the video, you can later slow down the playback frame rate and get a better video. Additionally, while recording you can delay it in case there is nothing special to record. It should be noted that unlike other apps in this list, this app contains ads and there is no in-app purchase to remove ads. Both image and video time lapse support. No limitation on video length. A bit complicated to use, may not work best in novice hands. 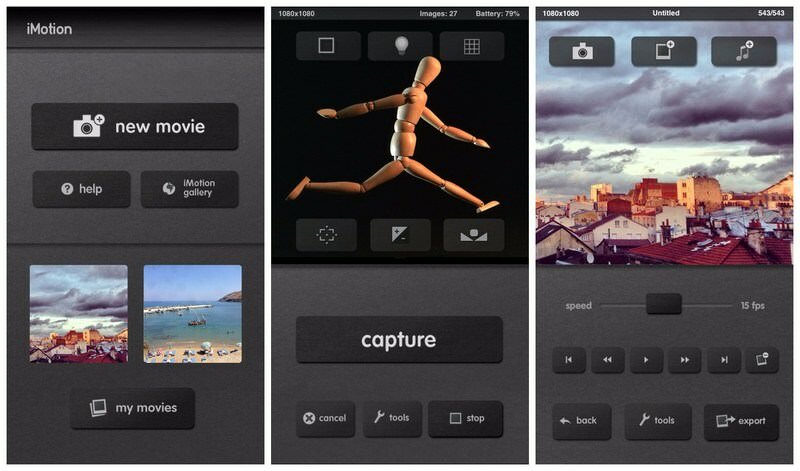 A comprehensive time lapse app for iOS that lets you shoot both time lapse and stop-motion videos. You can control frame rate with maximum 10fps allowed, record videos in 720p and 1080p resolution, and control playback frame rate to create the perfect video. On top of that, it also lets you play the time lapse videos in reverse, which should make things interesting, for example, a sunset can be shown as a sunrise. Furthermore, it works with Apple watch and lets you preview and control the video on the watch. The recording can be voice activated or even remotely started using a companion app. And, there is no limitation on video length, making it perfect for both time lapse and hyperlapse. Once you have the video, you can add different effects to it, adjust white balance and use filters to make the video even better. I should also mention that it is one of the few apps that auto saves videos while recording. Unfortunately, some of the features are only available in the full version costing $3.99. Adjust both frame rate and playback rate. No limit on video length. Some features are only available in the paid version. These apps should be enough to help you make time lapse and hyperlapse videos. If you are interested in hyperlapse videos, then go for the offering from Microsoft or Instagram. They both are very easy to use and offer amazing stability while moving. Although an all-in-one offer like Time Lapse Camera is also a better option if you like taking control over your videos.